This is the shot I had hoped for. 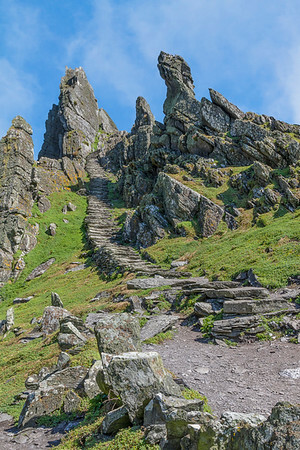 This is the last portion of the 640 steps to the top of Michael Skellig. It is on these steps that Luke Skywalker gave a sermon to Rey.